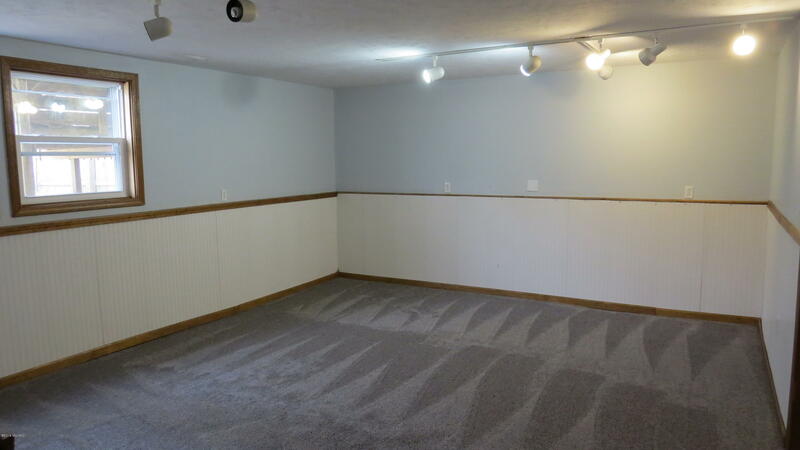 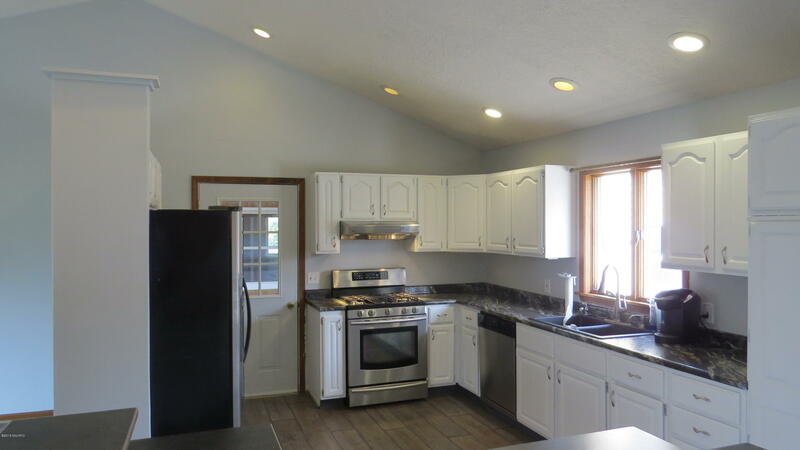 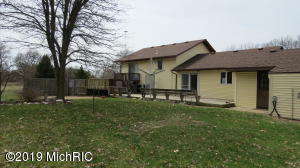 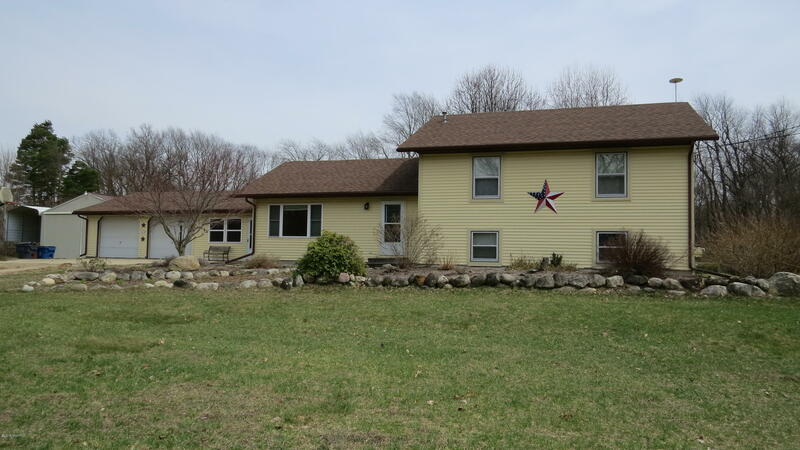 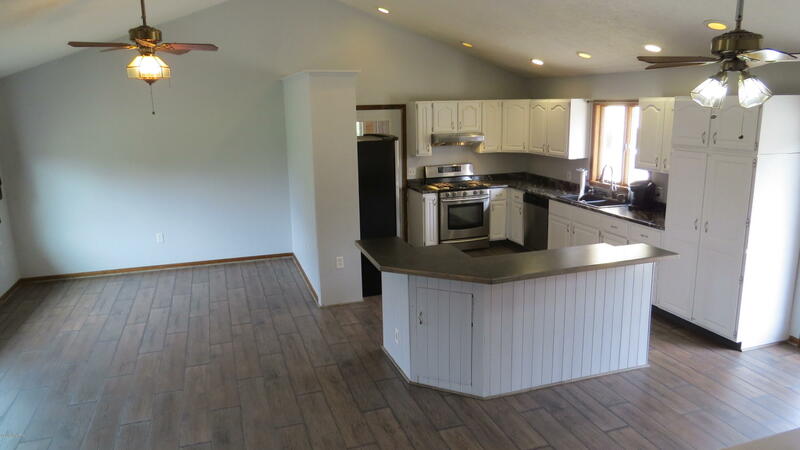 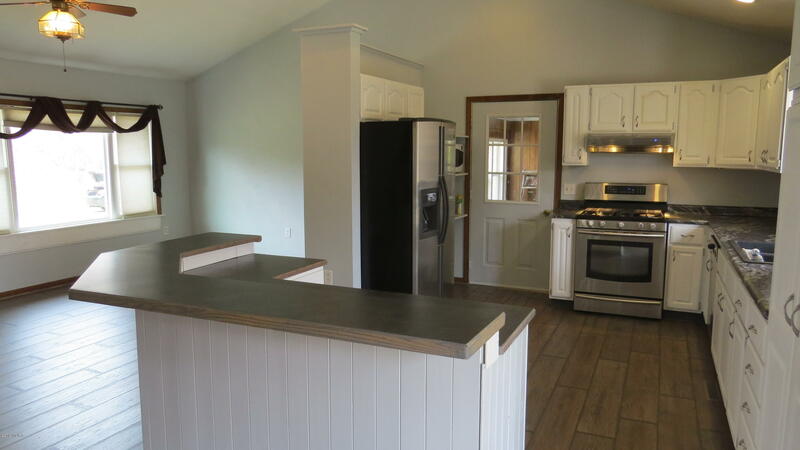 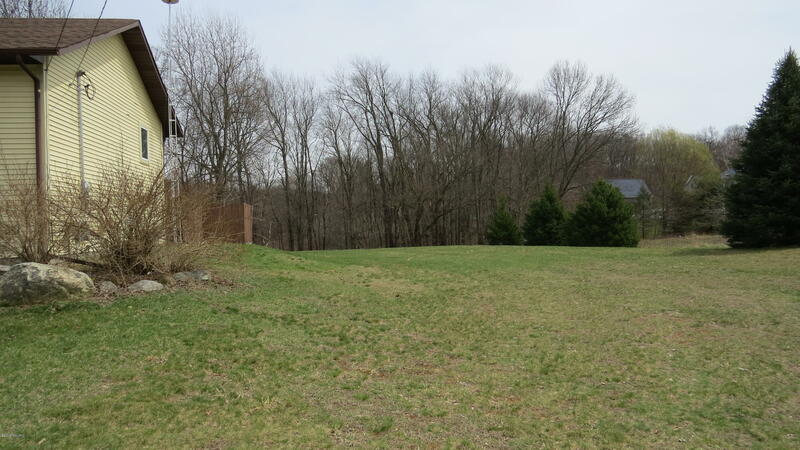 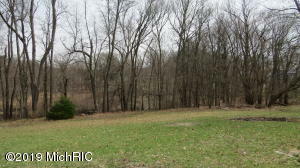 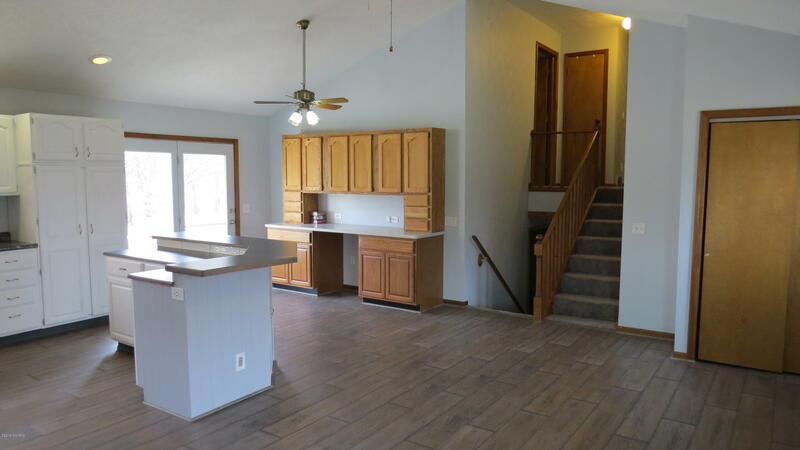 Welcome to this sprawling tri-level just South of Plainwell. 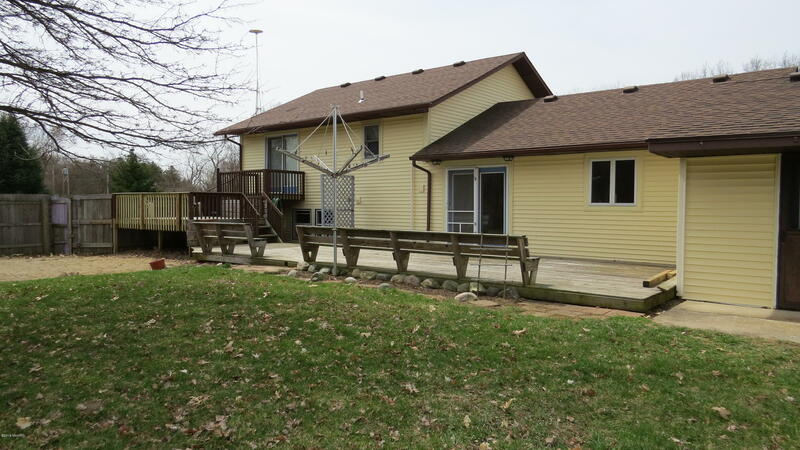 This home boasts large open main floor that has kitchen, living room and dining room that opens up to the large rear deck. 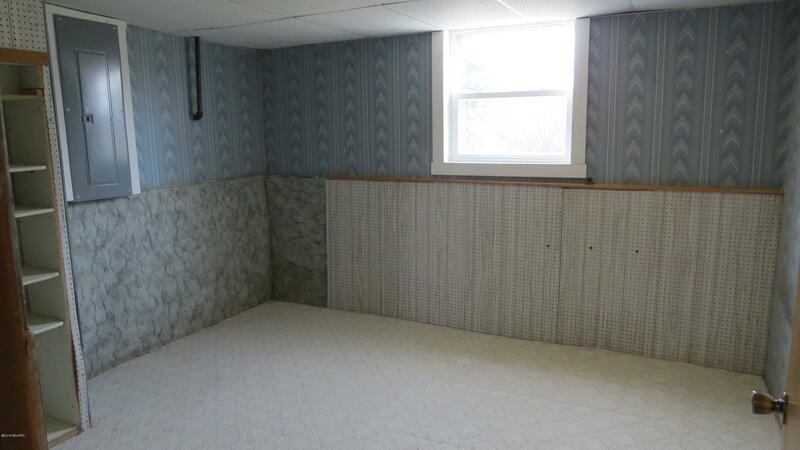 What an entertainment space. 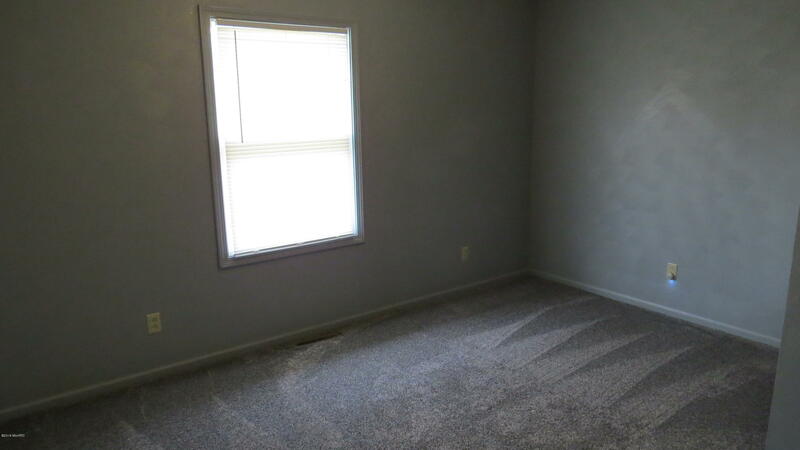 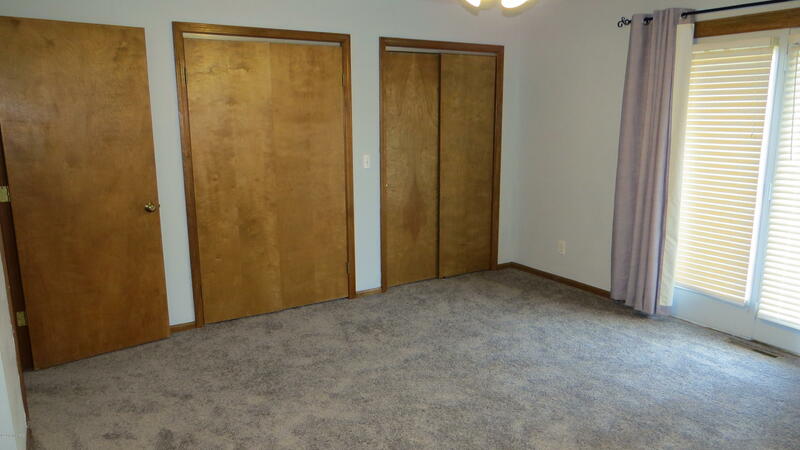 The upper level has master bedroom with double closets and french door to upper deck. 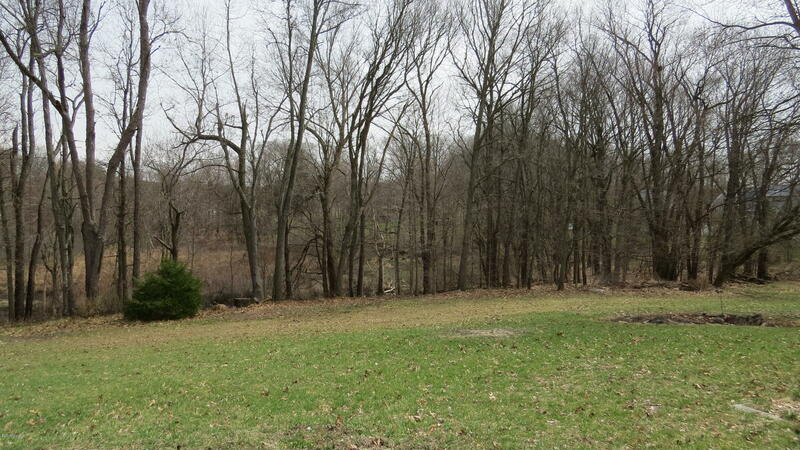 Would be a great place for a hot tub! 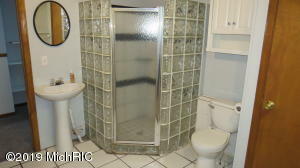 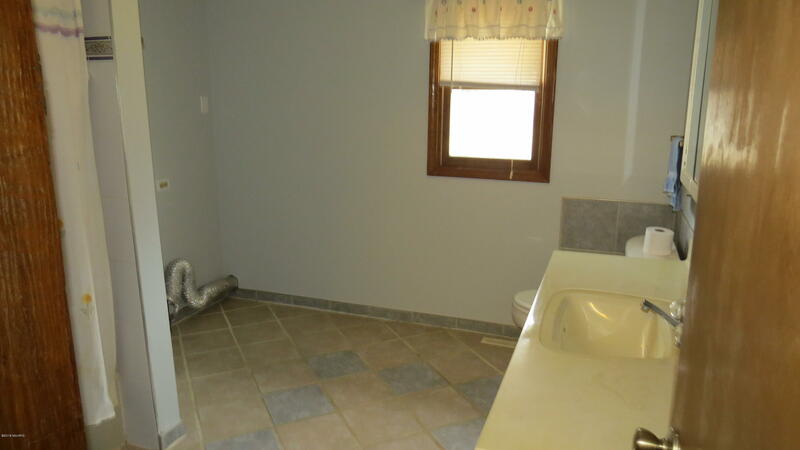 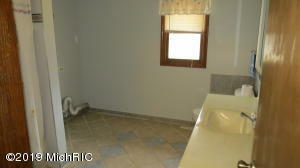 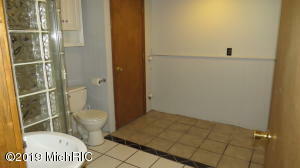 The lower level has full bath with glass block shower and washer/dryer hookups. 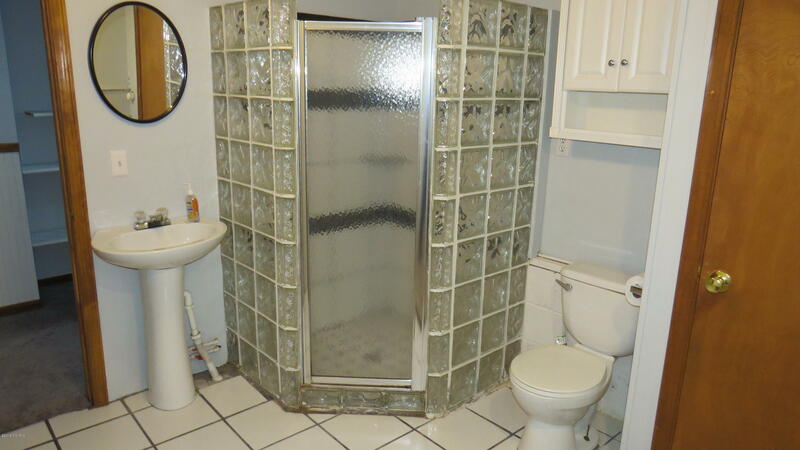 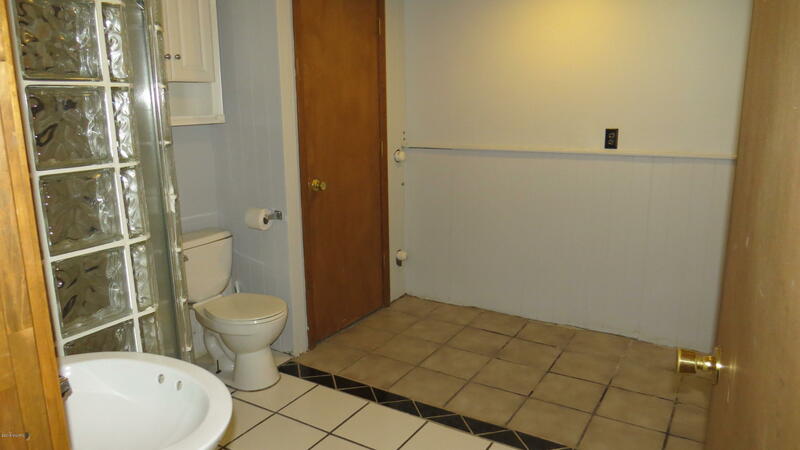 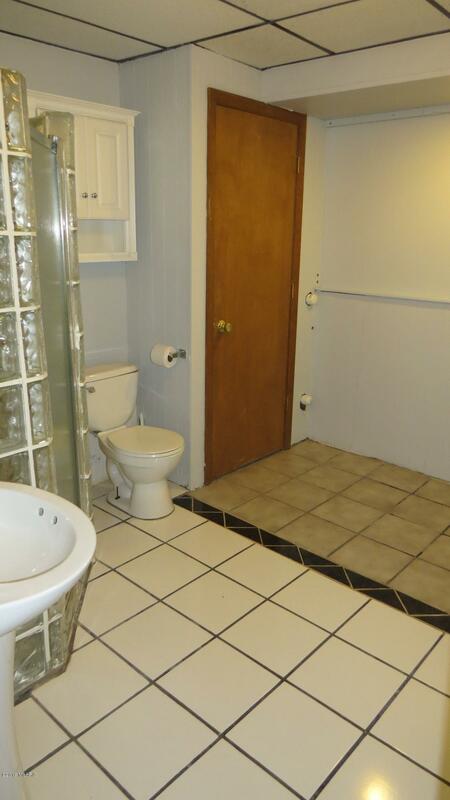 (hookups in upper bath as well). 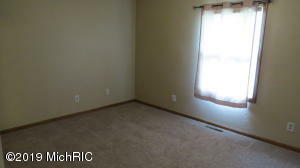 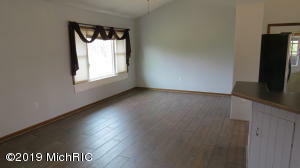 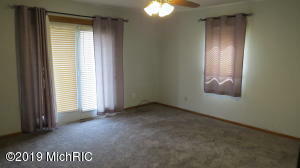 A family room with daylite windows and a possible 4th bedroom or office area. 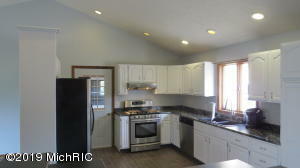 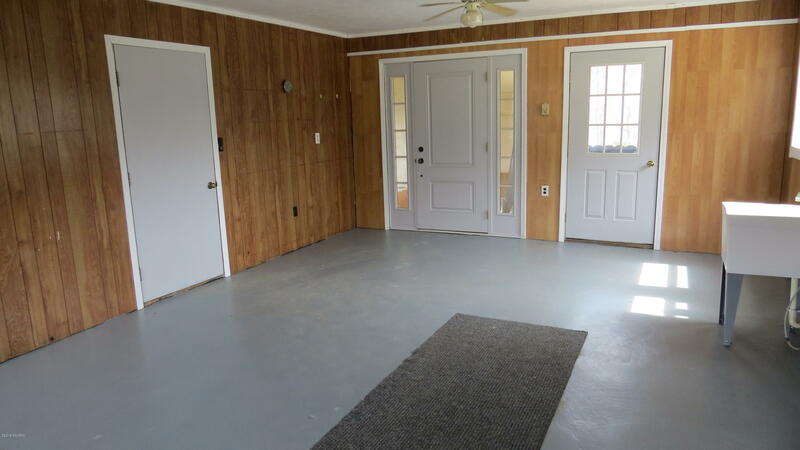 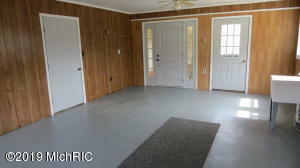 A 2 car attached garage is accesible through the large heated breezeway. 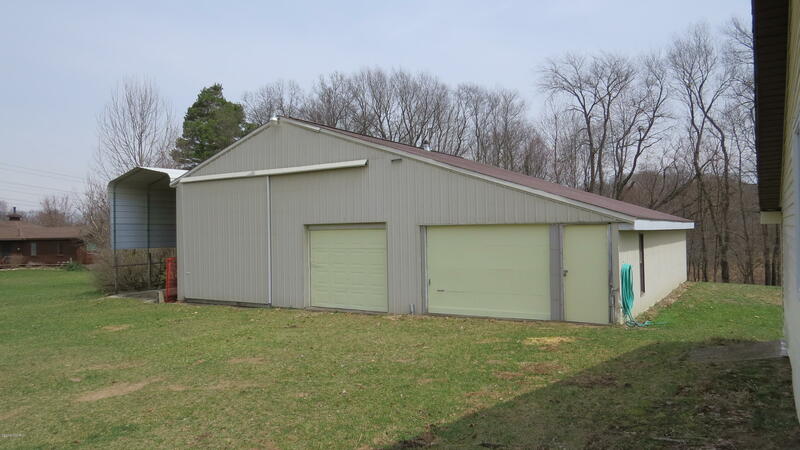 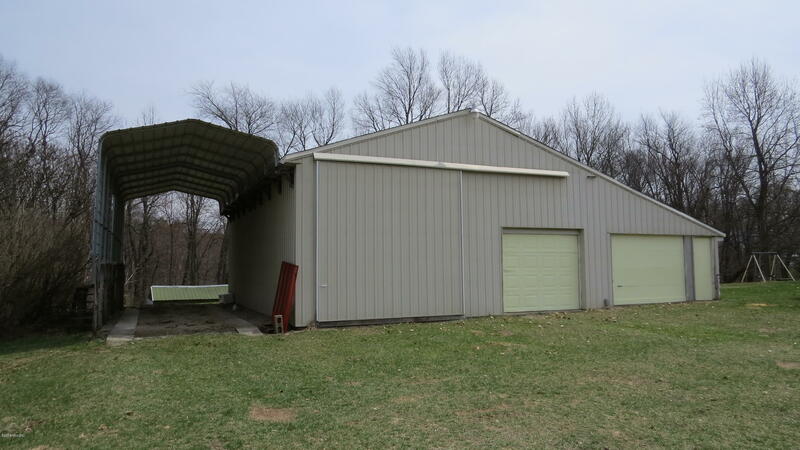 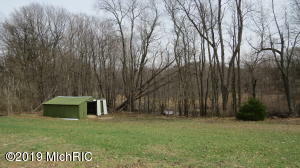 A 30'x40' pole barn with lean-to and a RV storage carport and... a 3rd outbuilding in the back of the property. This home has so much to offer.